Ok, so this might take a little longer than five minutes. More like twenty actually. But the title was catchy, and it really only feels like five minutes because this recipe is so simple to make! Yeah, I know it's not the same thing. You'll just have to forgive me this one time. 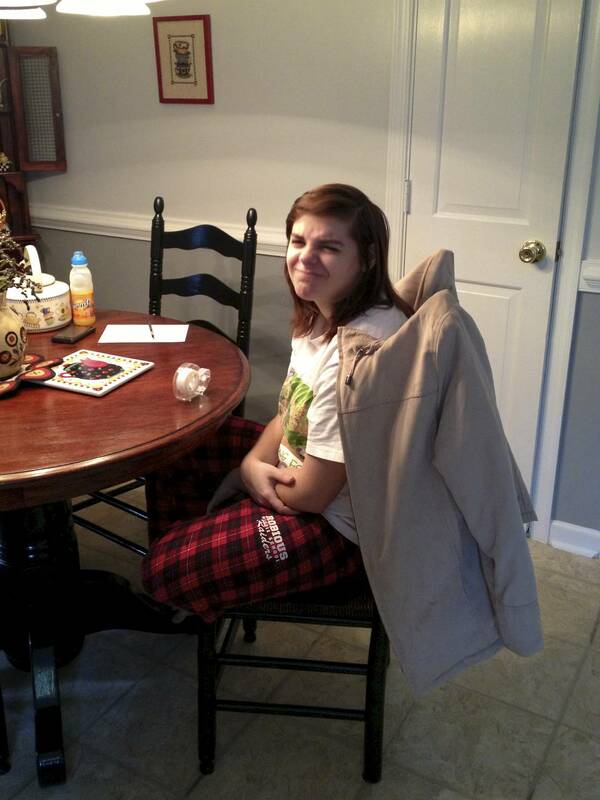 My sisters and I were all at the parents' house at the exact same time, for a brief 24 hour period. This actually occurred TWICE in a several week span. You have no idea how unusual this is! Normally, we're lucky to see each other once every year or so. On the second visit, we were enjoying a birthday celebration. As part of another tradition, it was our duty to make breakfast for the birthday boy in question (depending on who you ask, that would be Paj, Faja, DaDa, or Edward... Ha, it's probably better not to ask and just go with it). We divided the breakfast duties appropriately. 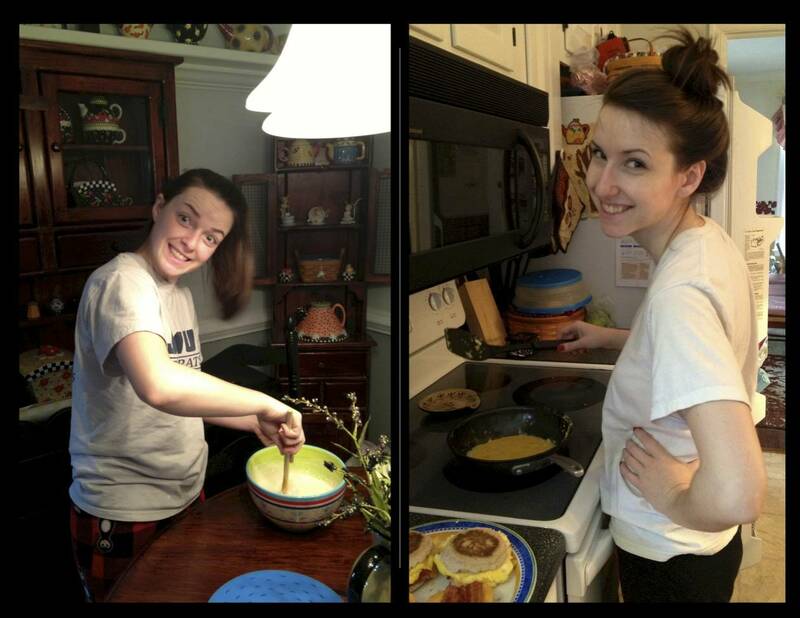 D and H were in charge of egg sandwiches and pancakes. If you don't already know, I'll let you in on my secret: I'm a pancake failure! This is the one thing I absolutely cannot master at all. And I mean AT ALL. I've tried. Countless times. I finally gave up. However, this doesn't mean I couldn't help. All great pancakes need great toppers, yes? 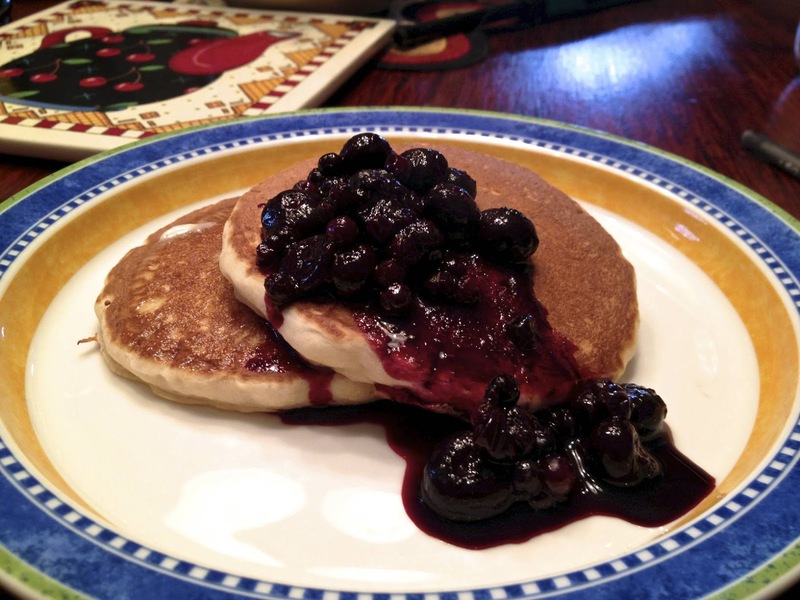 Hence the blueberry compote! Cooking in someone else's kitchen is no mean feat. I don't know where stuff is, they don't use the same knives/cookware that I do, the spice rack is missing my favorites.... and the list goes on. I knew my pancake topper needed to be simple. As in, as basic as basic can get. So instead of experimenting and creating my own unique spin on a classic, I just stuck with the classic itself. I used this recipe from Food Network. 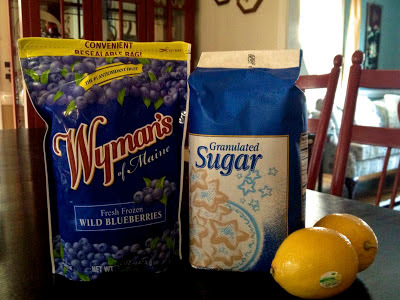 The ingredients are easy: 2 cups frozen blueberries, 1/4 cup sugar, 2 teaspoons lemon juice, and three tablespoons of plain old water. The cooking method is even easier: place all the ingredients in a saucepan, sans 1 cup of the blueberries. Cook and stir over medium heat for about 10 minutes. Then add the rest of the blueberries to the pot and cook another 8 minutes, stirring often. Viola! Blueberry compote with breakfast. This is a great, basic recipe that you can make anywhere, in anyone's kitchen. And people will be impressed with your crazy skills! I just love dishes that look fancy, but really aren't. Don't you? Happy cooking, peeps! I'll be back again soon with a recipe from my kitchen to yours.